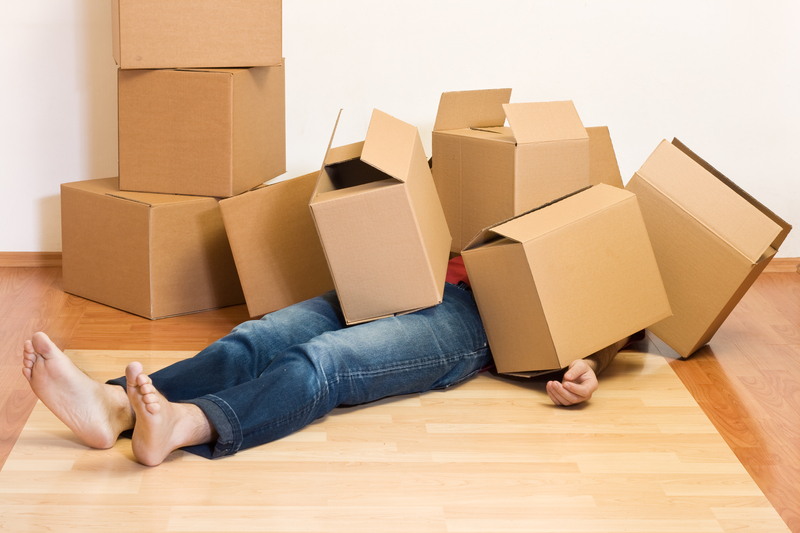 Moving has almost every emotion attached to it – anxiety, happiness, fear…the list goes on. Change is overwhelming, and I’m experiencing it at this very moment. After graduating college and moving back home with my parents (a common trend among millennials), I’ve decided to let some of our readers know my secrets to a successful and stress-free moving day! My move out day is sometime in mid-May (18th through the 22nd). It will be made possible because throughout the entire months of March and April, I have slowly started packing away my things. Be it that I am a college student, my roommates and I all have things to contribute to the apartment. Mostly my room is all I have packed, and the movies that I provided with the TV and the wall hangings in my room are going to be packed last. From different articles and my own experience, I developed a checklist that will keep you on track for a smooth transition period and some other things that some adults forget to do before the dreaded moving day. These are only ideas that have helped me in my move, and I hope that they work out for you as well! Make a daily schedule of what you are going to tackle that day. Have 3 piles of things that need to be boxed up: 1) Keep, 2) Donate, and 3) Trash. Use smaller boxes (because they are easier to carry) and trash bags for your hanging clothes. Use your luggage or backpacks to hold clothes and shoes. Out of newspaper? Use socks to pack glassware, blankets and sheets for larger breakable items (mattress, crockpot, TV), and paper plates in between glass plates. Pack things tightly and have them labeled (color coded or marked for each room). Keep valuables separated from your other packed items. Have movers or friends help with your move. Say goodbye to your old home, and say hello to the new opportunities that are in store for you! Realtor.com has some articles about things that people forget or overlook when moving, mistakes that people are making, and some data that helps people who are moving to locations where they have never been. I never experienced moving out of the country, but here is an article on moving abroad and what to do in your new location.